How do I make my own gift hamper? Click on "Create my own hamper"
Choose which type of presentation you would like eg: wicker hamper, gift box etc. You will also find a quick one minute video guide here on how to create your Scottish gift hamper here. Can I order food and drink without a hamper? Yes, just click on "Food and Drink" and make your selections. Can I add items to a pre selected hamper? Can I change items in a pre selected hamper? What can I send to USA? American Customs and the FDA prevent us from sending any alcohol or fresh produce to USA. We can send non-alcoholic versions of any of our hamper range. All haggis and meat products are not permitted at present. What can I send outside European Union? We do not send any fresh produce outside the European Union due to the longer transit times. Other products can be sent but Endrick Trading Ltd can not be responsible for local customs restrictions. 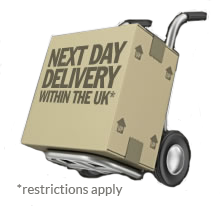 Using our express service goods are sent by courier on a 24 hour service to most of mainland UK. Highlands and Islands, Northern Ireland, Isle of Man and Channel Islands may take 2 days. International deliveries are less precise, with EU & North America usually taking 2-3 days and other international addresses taking 5 to 7 days. Yes. At the checkout you can enter your desired delivery date. We will despatch allowing for normal courier schedules, but cannot guarantee exact delivery dates. Fresh produce cannot be despatched for transit over a weekend and so cannot be delivered on a Monday. How can I include a personalised greeting? At the checkout you have the opportunity to write a personal message for inclusion on a greetings card. The delivery cost for UK (excluding Highlands & Islands and Northern Ireland) is £5.95 inc. VAT for standard delivery and £9.95 inc. VAT for Express Delivery on consignments up to 25kg. International delivery is prices specifically by weight, destination and speed. The delivery cost will show in your basket for all other destinations.  We will send you an email when your order is shipped with the consignment number which will allow you to track your delivery online via the courier's website. Orders are delivered between 9am and 6pm Monday to Friday and must be signed for..
Can I send haggis abroad? Fresh or frozen haggis can only be sent to UK and EU countries.Tinned haggis can usually be sent anywhere except USA and Austrailia. Please see the table of dates for Christmas delivery under "Delivery Info". What do I need to consider when ordering fresh produce? Fresh produce is despatched in thermal packaging with ice packs and should be refrigerated on receipt. To keep transit times to a minimum, we do not despatch fresh produce for transit over a weekend. For mainland UK deliveries this means fresh produce cannot be delivered on a Monday. EU deliveries will be despatched on a Monday or Tuesday for delivery prior to the weekend.